The future looks bright for agriculture as indicated by the outstanding applications we received for the Kinnard Farms Excellence in Agriculture Scholarship. The 2018 recipients are Jared Baudhuin, Mikayla Haack and Ben Ullmann. Each recipient receives a $1,500 scholarship to recognize and reward their high school accomplishments and interest in pursuing a career related to agriculture. Let’s meet this year’s award winners. Jared Baudhuin is the son of Noel and Christina Baudhuin, Brussels. 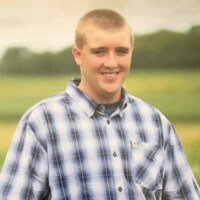 Jared graduated from Southern Door High School and will attend the University of Wisconsin-Madison this fall to major in Dairy Science. A member of the National Honor Society, Jared received the Daughter of the American Revolution Good Citizen Award and was a Wisconsin Leadership Seminar recipient. Jared served as the Student Council representative on the school board, won the 4th place individual award at the State FFA Dairy Evaluation and placed 2nd in the 4-H Dairy Quiz Bowl. Jared has been involved with Adopt-a-Highway and the Southern Door School Emergency Preparedness and Collaboration Team. Jared also volunteers with the Brussels-Union-Gardner Fire Department. Mikayla Haack is the daughter of Pete and Vonnie Haack, Algoma. 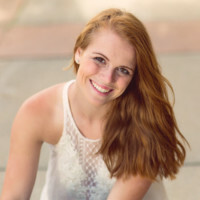 She graduated from Algoma High School and plans to study Food Science at the University of Wisconsin- Madison. Mikayla played varsity basketball, volleyball and softball while participating in Ski Club, 4-H, band and FFA. Her numerous awards for academics and sports include Highest Academic Honors and 2017 Softball MVP and First Team All-Conference selection. Mikayla believes in community service. She helped coach the 8u Algoma Softball Team and the Little Dribblers Basketball Skills Camp, plus volunteered at Wisconsin Farm Technology Days, Breakfast on the Farm, Shanty Days and at Farm to Fork events. 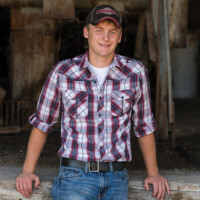 Benjamin Ullmann, son of Dean and Darlene Ullmann, graduated from Luxemburg-Casco and plans to attend Fox Valley Technical College in the Agriculture Equipment Service Technician and Agriculture Business Management programs. Benjamin was on the Honor Roll and achieved High Honors all four years of school. He received the Top FFA Fundraiser Award, 2nd and 3rd place awards in Cabinet Making for Skill USA Regionals and 2nd place in the Agriculture Mechanics State Competition. Benjamin volunteered at St. Mary’s Catholic Church, St. John’s Lutheran Church and at Wisconsin Farm Technology Days. We wish all of our recipients much success (and fun) as they pursue their passions! If you know these young stars, please join us in congratulating them!